Amy and I spent today being total tourists in Georgetown, a part of DC which I, until recently, rarely went to. (Well, now I work there, but that still hasn’t afforded me too much of a chance to see the sights in detail.) 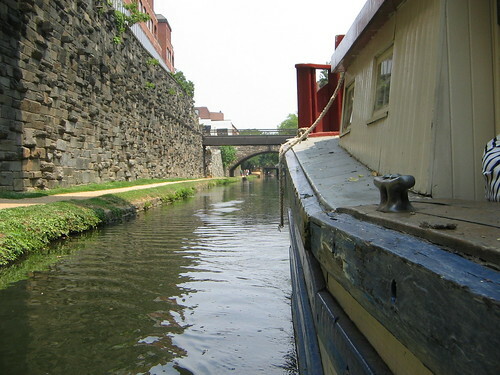 We said hello to the Lock 2 blue heron, walked around the Old Stone House and adjoining garden, had a Vietnamese lunch, took a C&O Canal boat ride, and watched Harry Potter and the Order of the Phoenix down at the Georgetown theater. Some photos follow, full photoset here, and a short video of the canal boat ride.